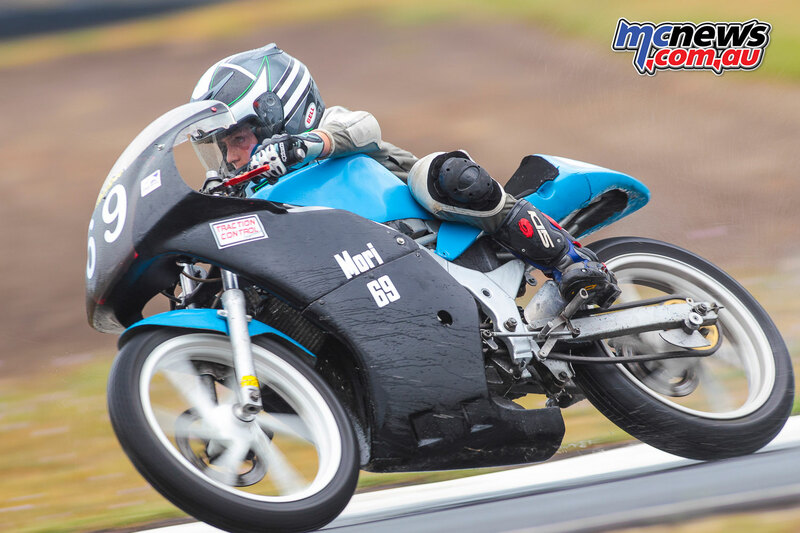 The second round of the Hartwell Motorcycle Club’s 2017 championship delivered further signs that motorcycle road racing in Victoria is not just alive and well, but is developing at a healthy rate. The meeting was very well subscribed with full grids from all the classes. The Juniors class was very well represented, proving that the concept of encouraging younger riders into the sport is working effectively, with the feedback from riders and parents being positive. 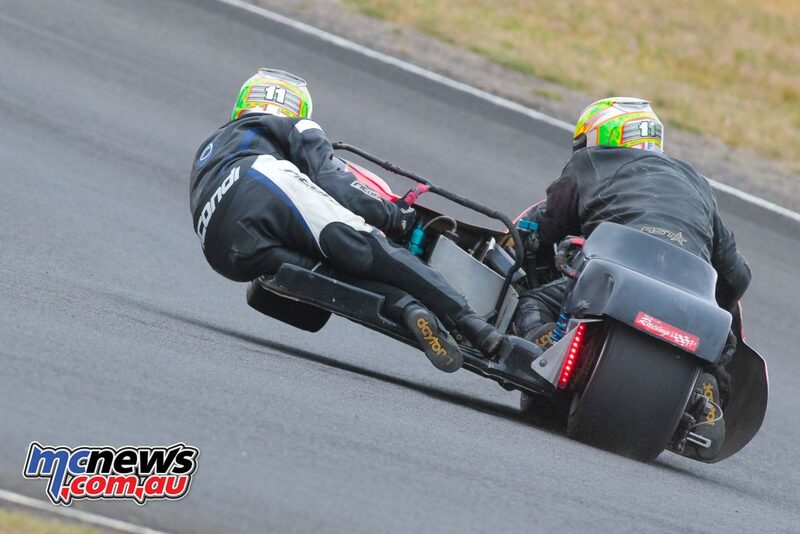 In addition, the sidecar class showed an even larger number of outfits turn up to provide entertaining and close racing. 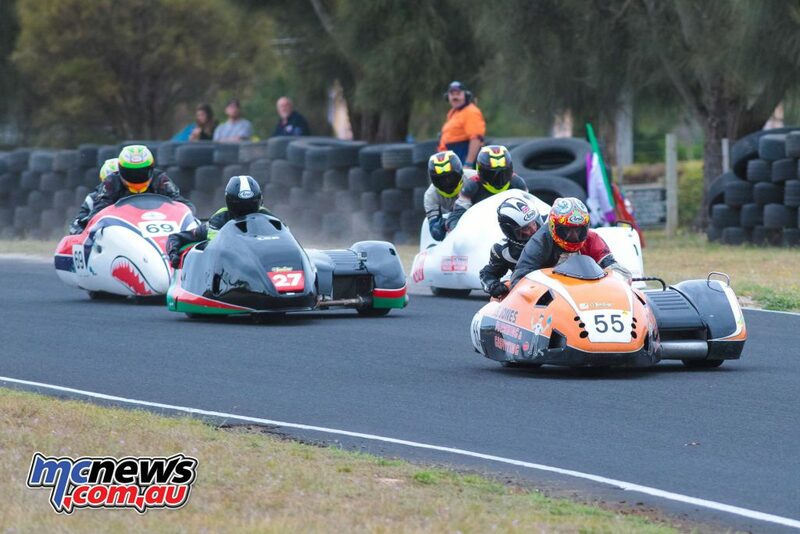 Given that running an outfit requires a few more resources than running a solo and that obtaining the machinery in the first place isn’t quite as easy, it is a very healthy sign that the sidecar class is growing steadily. Two new teams were in attendance at Mac Park and the grid held higher numbers than the first round at Broadford in February. 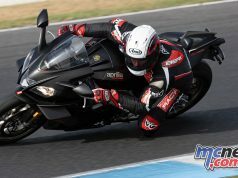 In addition to those two classes, large fields graced the grids of the Superbike, Supersport, GP, Twins, Production, 400 and Thunderbike classes as well as the classic bike classes being well represented. 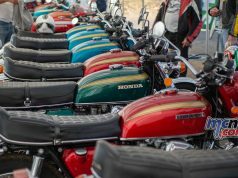 Given the amount of classic only race meetings now available to owners of classic machinery, it is fantastic to see the bikes still attending club meetings, providing the riders with fierce competition. 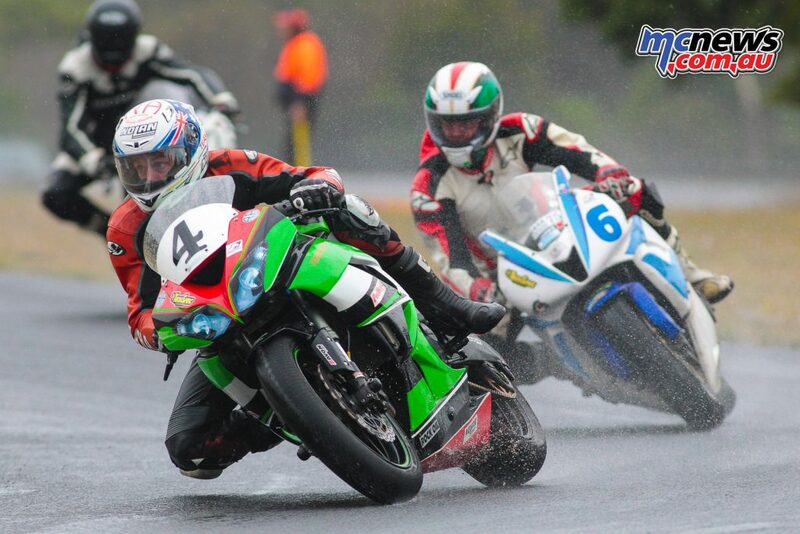 The border town of Mt Gambier provided some challenging conditions during parts of the event, with several wet races. However, the grippy Mac Park Surface still provided those with the confidence and skill with plenty of traction and races were still fast paced for those prepared to explore the grip limits of their tyres. 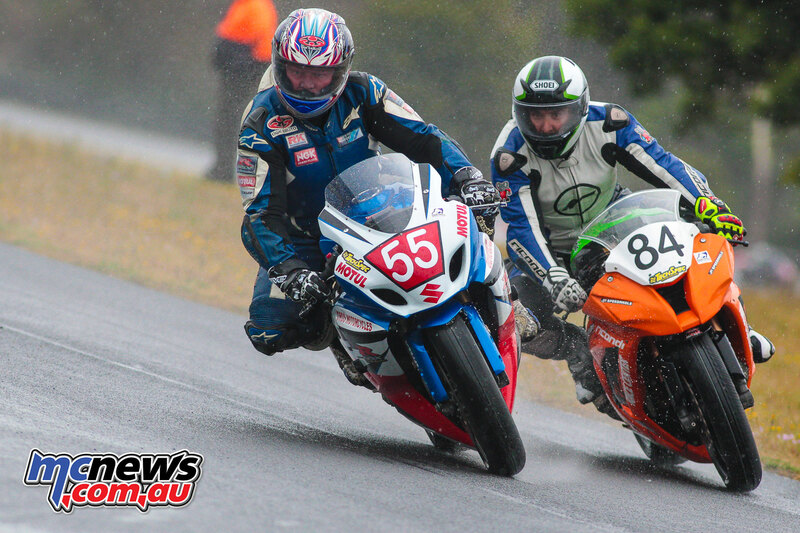 Saturdays racing was held in damp conditions, where Lachlan Hill made the most of the wet weather taking the win in both races. 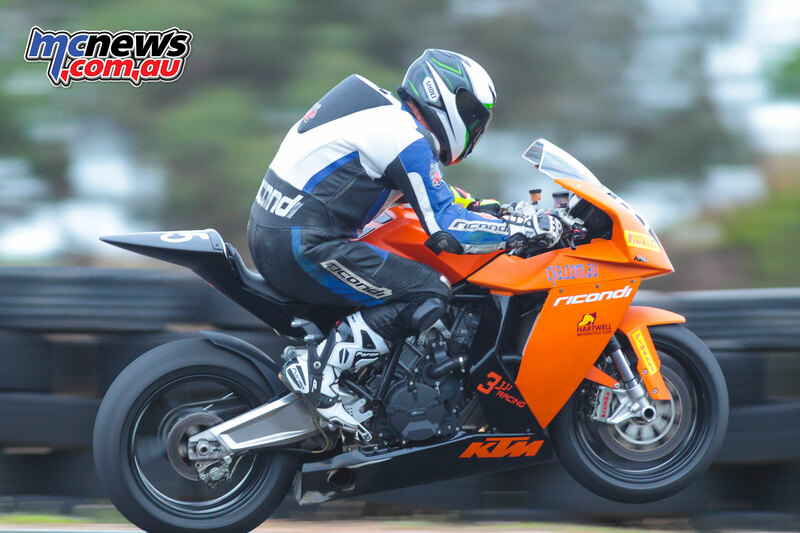 Graeme Koschmann rode well and showed his experience with two second places, while Terry Dixon took third in race one and John Kendall took third in race two. Sunday brought a change and a dry track for both races and again Lachlan Hill took both wins followed home by Graeme Koschmann in race three and Ashley Daff in race 4. Graeme and Ashley traded places in the fourth race with Ashley edging ahead for second and Graeme taking third place. 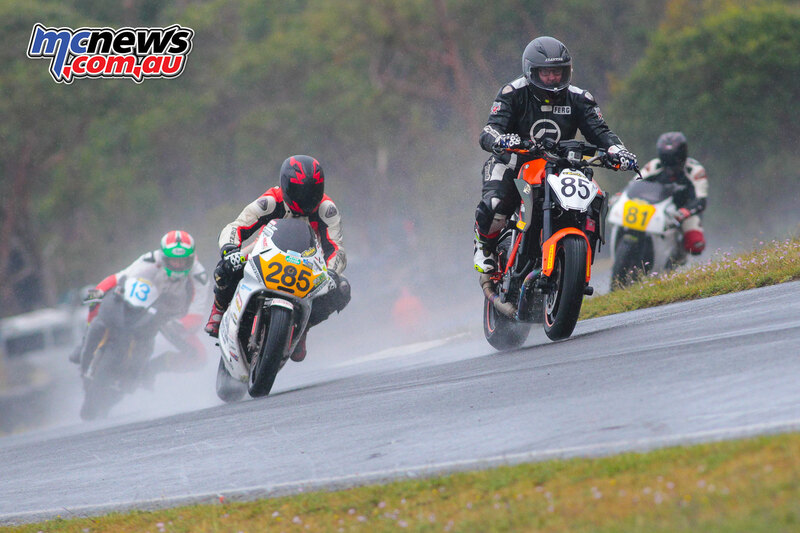 Nathan Jones took a clean sweep of all four races proving he is just as fast in the wet as he is in the dry, followed home by Andrew Ord, with the gap varying from as close as just under two seconds to as large as nine seconds in Race 3. 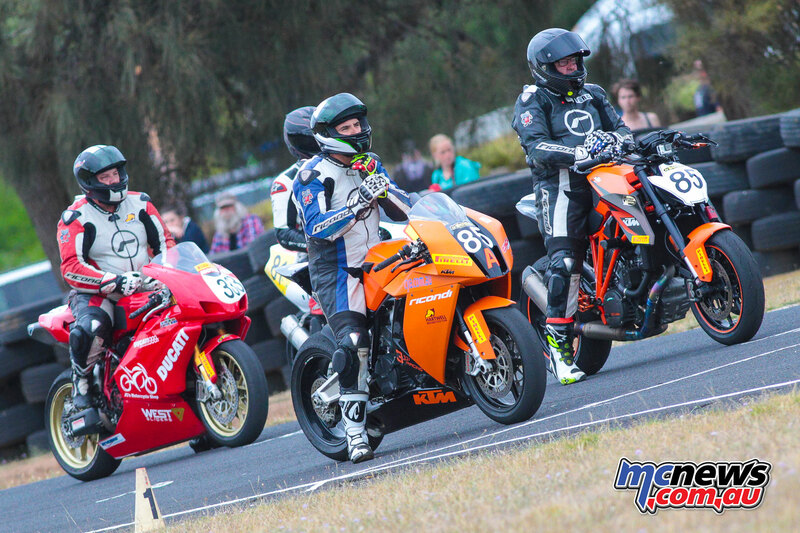 2017 Hartwell MCC – Round 2 – Mac Park – Over 600 Expert & Non Expert – Andrew Ord, Steve Rubinic, Kieran Hurrell, Alex Katakouzinos, Nathan Jones. 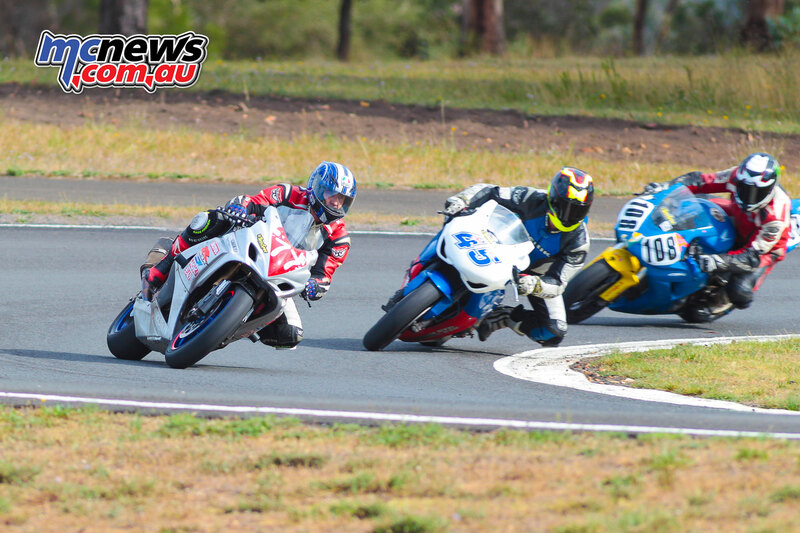 Both riders lapped around the 1’12” mark in Race 3, with Nathan dipping into the high 11’s in the final race. Russel Crane took both final podium spots in the wet on Saturday on his CBR1000RR Honda. Chris Ognenis and Kieran Hurrell shared third places respectively in the final two races in the dry on Sunday. 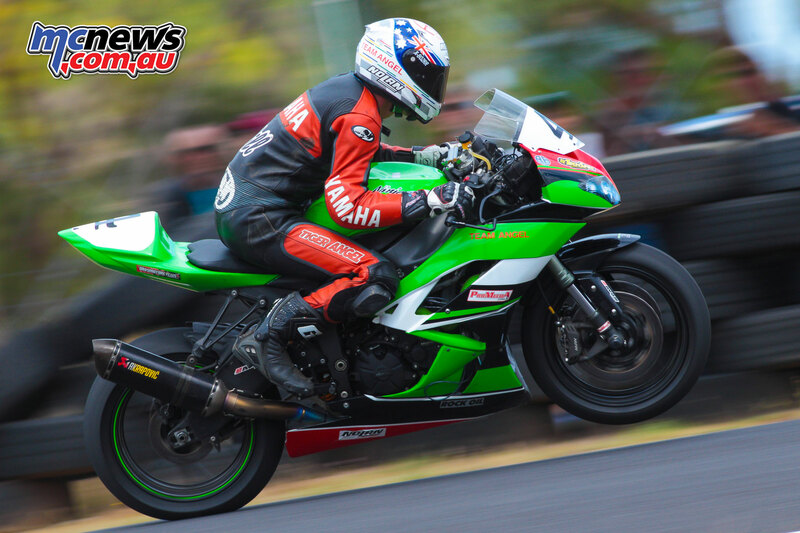 Steve Runinic also rode well to collect valuable points in each of the four races and maintain his championship lead over Nathan McKenzie. With Wayne Kulmer’s non attendance costing him his second placing in the championship he now sits in third in the standings. 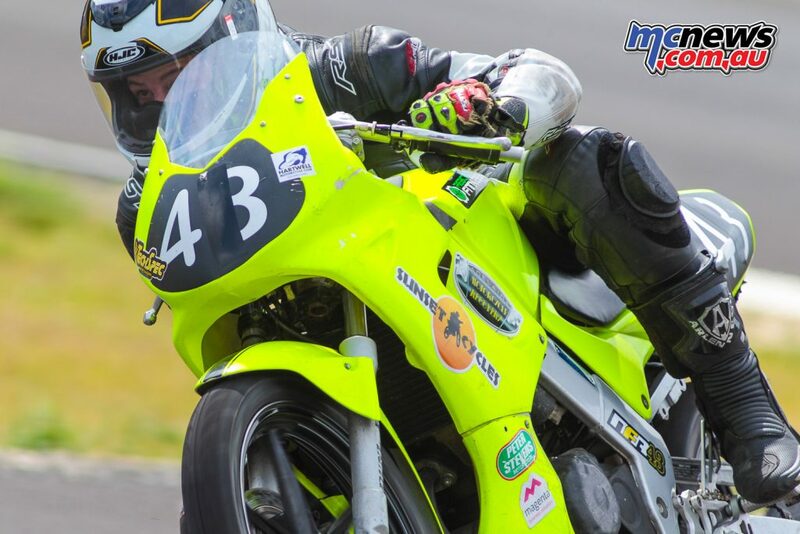 Ned Faulkhead continued to pile on the points with another perfect score at Mac Park, taking four from four to lead the championship by a massive 34 points over Charlie Grimes. However, Cooper Corbett made up ground on Charlie by taking four second places to bring him within six points of Grimes in second place. 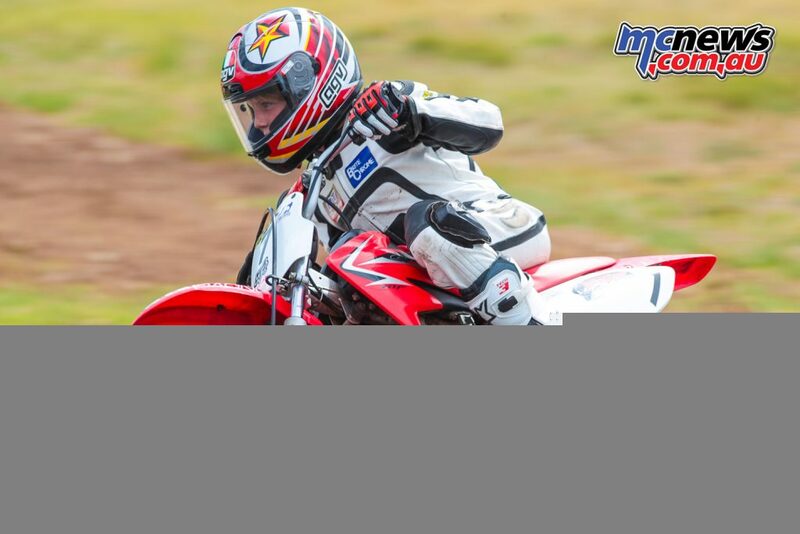 Josh Kane had it all his way on his Moriwaki MH70 in the 70cc class, with his competition being the diminutive Yasmin Elliott on a Honda CRF70 in her road racing debut. Yasmin was very obviously suffering from a lack of machine speed and horsepower on her little Honda, but her pace was great throughout the weekend. 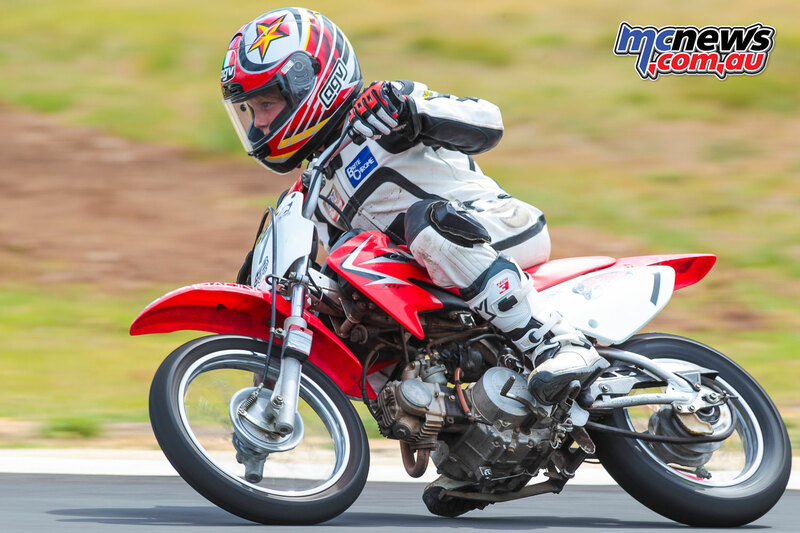 She steadily improved over the course of the meeting making that little CRF sing all the way around the Mac Park layout holding the little Honda at full throttle. A great effort for a debut and we hope Yasmin will be a regular competitor for the remaining rounds this season. 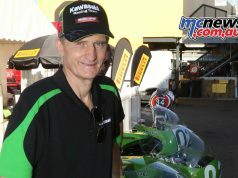 Young Scott Nicholson made his return to the Hartwell series at Mt Gambier after missing the first round at Broadford due to interstate racing committments. He made up valuable ground on Luke Power, taking four from four, with Luke managing to shore up his championship lead with four second places. Jack Cousens unfortunately missed this round due to National racing commitments in the following week, thus putting him back to third in the championship. It will be interesting to see if his experiences at National level deliver some more speed when he attends the next round. The sidecar class was a mixed bag and produced some great racing with a field of six sidecars taking the grid over the weekend. The pairing of Terrie Goldie and Jamie Crass did well to take three wins. 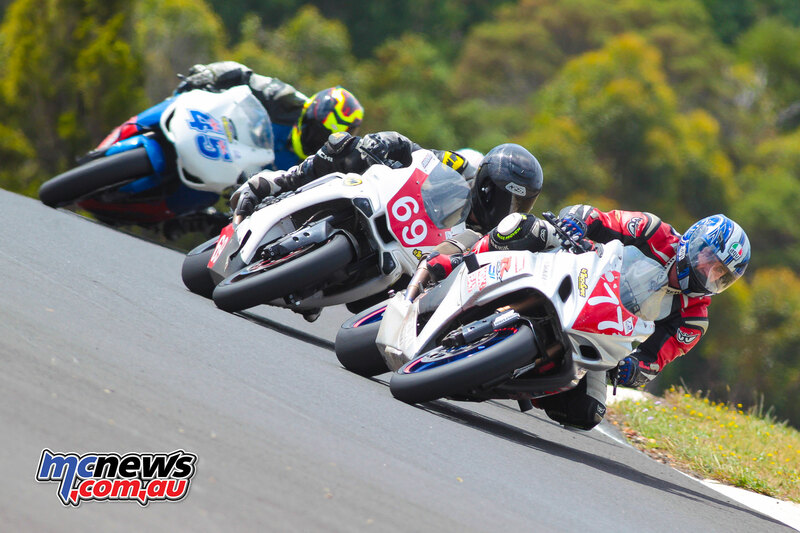 Justin and Melissa Foot took out the win in Race 2 and backed that up with two more second places over the weekend. It was great to see some new names and new outfits attend Mac Park, again showing signs that the sidecar class is alive and well. We hope this trend continues, as they are always one of the most exciting classes to watch. Dylan Whiteside continued his great form this year taking out three wins and a second place in the George Carrick Memorial, with Dallas Skeer pipping Dylan in race three on Sunday to make sure he didn’t have it all his own way. 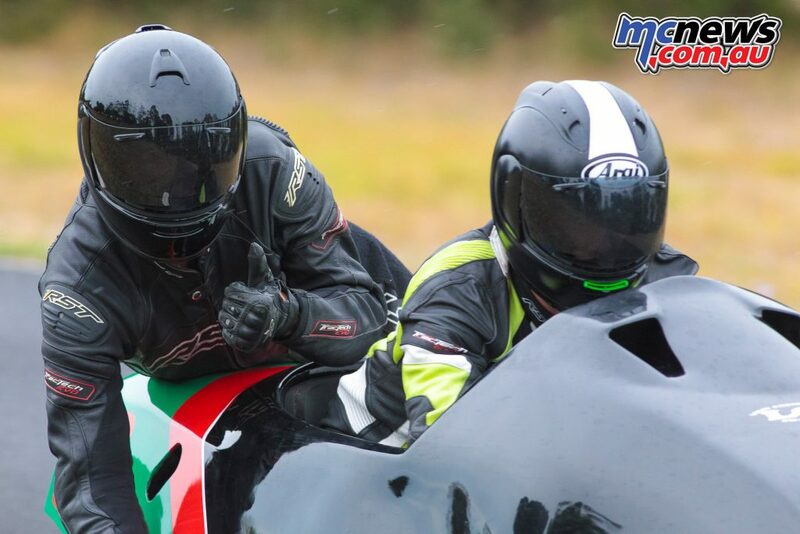 Scott Nicholson was very consistent with two second places in the wet on Saturday and two thirds in the dry on Sunday, putting him up to third in the class after missing the first round. Fergus Gibson showed some wet weather skill in the first two races on Saturday taking a second and first place, but scored no points in race three on Sunday. However he made up for it by gaining a second place in the last race of the weekend to increase his points lead. 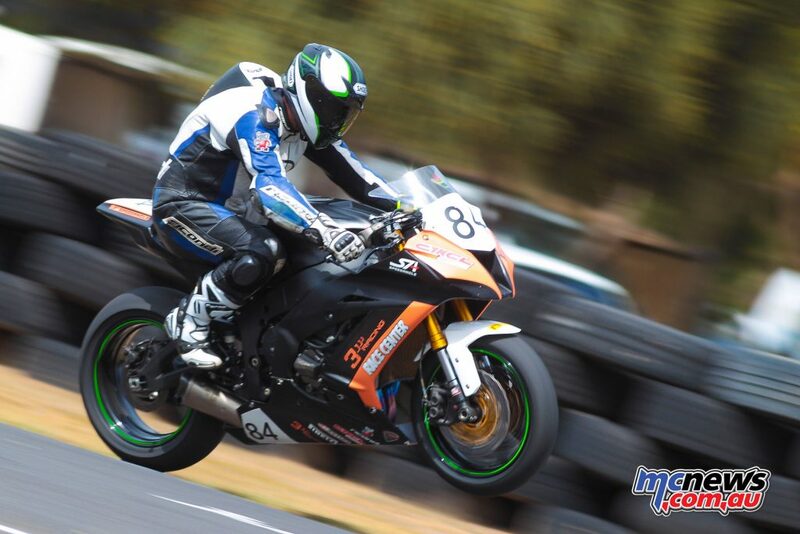 Nathan Jones did a cameo in the Thunderbikes class taking the first and last races of the weekend. Nathan Jones returned to the Hartwell series and showed he has lost no speed from last year, clearing off to take the Greg Bailey by over 32 seconds over the 18 lap race duration. He managed to dip into the mid 1’11″s during the race, which was his fastest lap of the weekend. Kieran Hurrell fired up and came home second, with Chris Ognenis a little over seven seconds behind and Lachlan Hill only a touch over five seconds further back. First round Greg Bailey winner Steve Rubinic finished seventh, one lap in arrears. Congratulations to all those who ride the Greg Bailey, it’s one of the most challenging club races in Australia and is a harsh test of bike, tyres and riders. 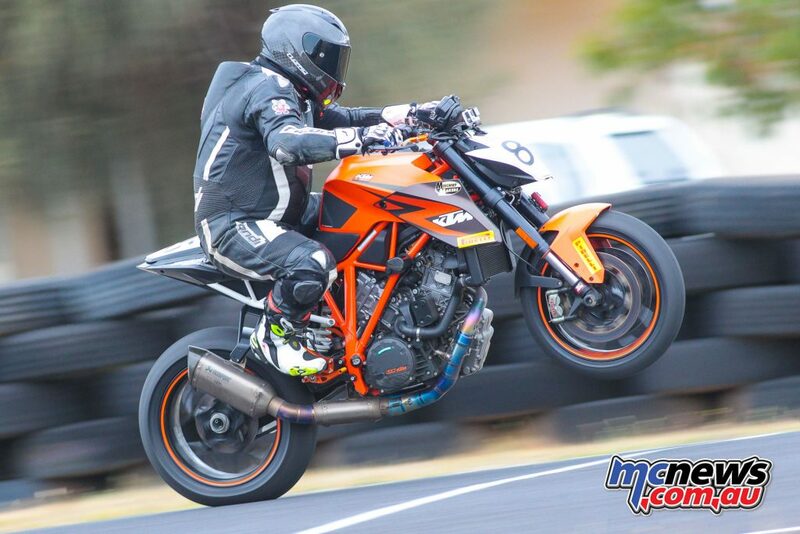 The Hartwell Motorcycle Club’s next round will be held on the 8th & 9th April 2017 at Winton Motor Raceway Benalla.